Here's a little about the inception of the church plant and the exciting journey we've been on so far! The initial conversations on planting Hope Church Sittingbourne were held on Wednesday, 4th October 2017. Following a Summer sabbatical and in light of prophetic direction bringing a conviction that the Holy Spirit was speaking about a new season, the eldership team at Cornerstone City Church began to make practical plans and preparations for the Watson family to be sent to lead a planting initiative into Sittingbourne in the Summer of 2018. On Thursday, 12th October 2017, during the Relational Mission church planting conference in Malaga, Gordon received prophetic revelation of the name of the new Church. He shared it with just a few close people but held the name back, trusting that it would be confirmed at some future point through some other means. 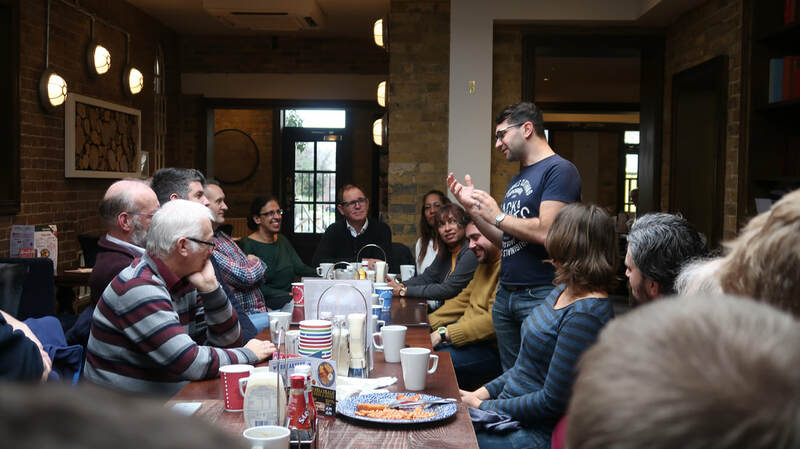 On Wednesday, 6th December 2017, twenty three leaders from across Relational Mission Kent churches gathered together in Sittingbourne for a prayer breakfast at The Golden Hope, the local Wetherspoons pub. The leaders split into groups and prayer walked along the High Street to get a sense of what God might have us do. One large group stopped on the corner directly opposite Swale Council offices. As the group prayed David King prophesied that the name of the new church should be Hope Church - Prophetic confirmation received some 8 weeks later! It is our hope that as we partner with others from across the Relational Mission family and across Sittingbourne we will find a groundswell of people offering to support us in prayer and other practical ways. We are hopeful there will be many people in and around the Sittingbourne area that we don't yet know that will become part of the Hope Church Sittingbourne family as we creatively share the Gospel of the Kingdom in all we do, through words, works and wonders. We believe that Jesus has called us to be a people who bring hope to the hopeless in practical everyday ways as we engage with our local communities and demonstrate Christ-like compassion to our neighbours, friends and colleagues, one-by-one.